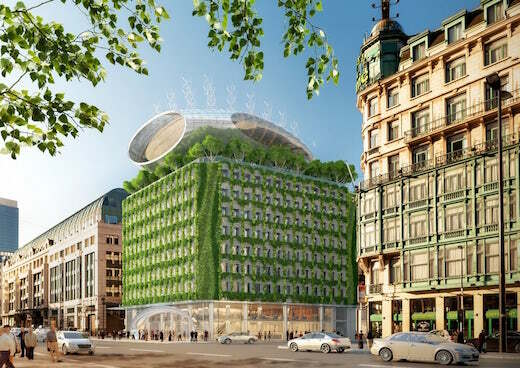 Green facades, or just adding some greenery to city buildings, help purify the air and make the cityscape that much more beautiful. 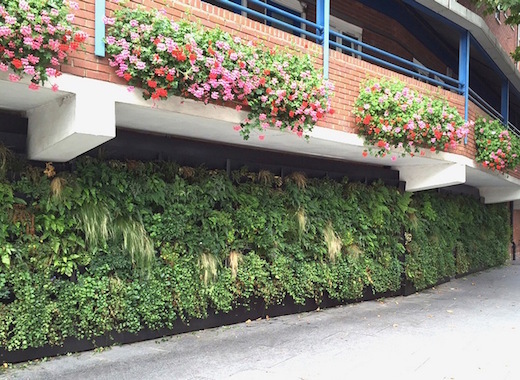 Adding living greenery to our urban buildings in the form of vertical gardens not only helps to make cities more beautiful, but also serves the practical purpose of producing extra oxygen and cleaning the air. 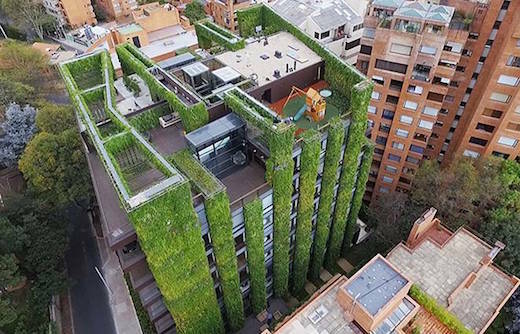 One great example of such a vertical forest is the Santalaia building in Bogotá, Colombia, which is also the world’s tallest vertical garden. French architect Stéphane Malka has a very interesting proposal for how to renovate an old apartment building in Paris. Plug-in City 75, as the project is named, calls for attaching a series of wooden boxes to the building’s façade, which will have the dual function of increasing the interior space of the apartments, as well as make the structure more energy efficient. 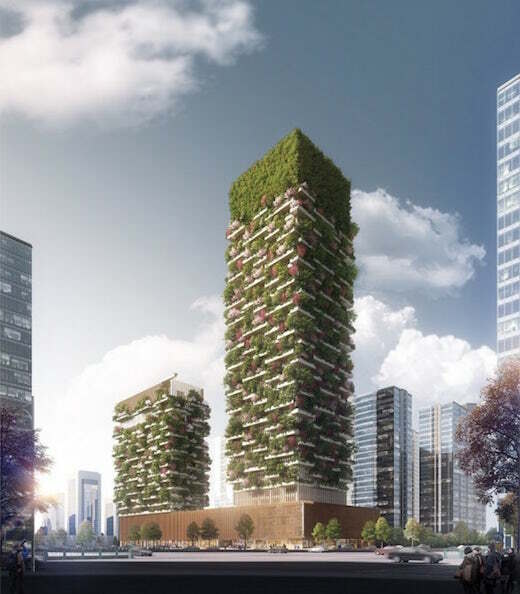 When architect Stefano Boeri first came up with the concept of the so-called Bosco Verticale (Vertical Forest), that is two skyscrapers clad in greenery, many people believed it would remain just a concept and never see the light of day. 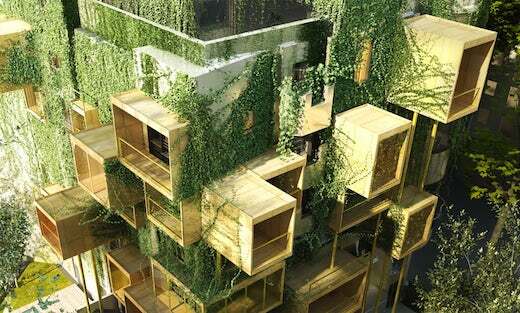 But now, a third Vertical Forest is to be built in Nanjing, China. 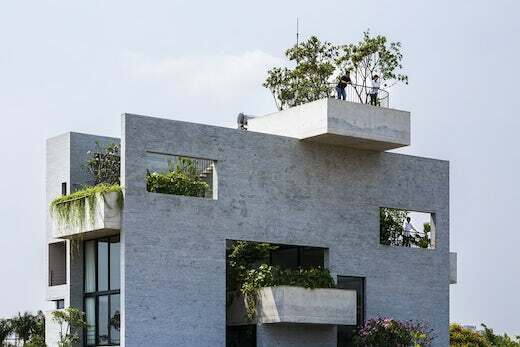 The Vietnamese firm Vo Trong Nghia Architects recently completed the so-called Binh House in Ho Chi Minh City. While it is made of concrete, which is not the most sustainable material, they have found a way to cool it naturally. It also has many plants softening up its façade, which makes it a welcome island of greenery within the city. The firm is planning to build other such houses as part of their House for Trees series.